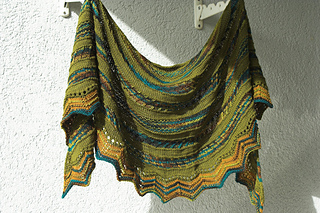 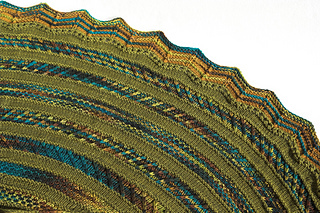 Gravity Shawl is a semi-circular shawl with different textured patterns. 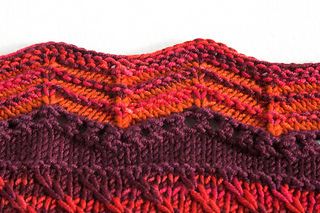 In a heavier yarn weight – like DK – it drapes well around the shoulders. 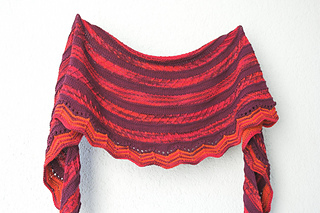 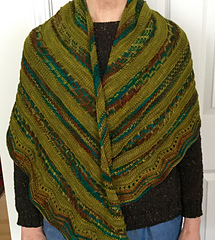 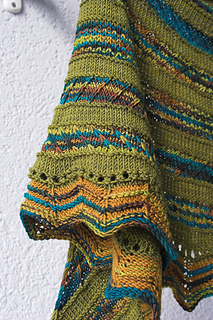 The shawl will keep you warm, since there are almost no holes – no lace pattern – in this shawl. 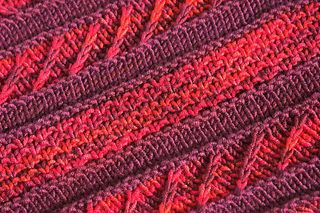 It is a good opportunity to use multicolored variegated yarn, which will work well with the textured sections. 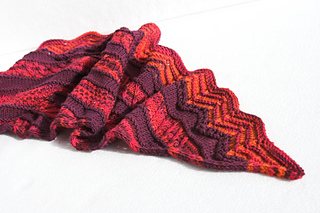 The pattern is suitable for intermediate or advanced knitters. 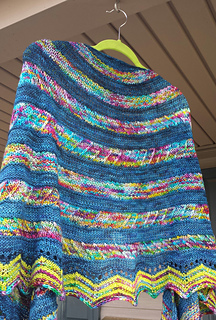 I want to thank my testknitters and friends (frogprincess2407, haushase, innersparkle, kuraj, naphro, shawncsknits).